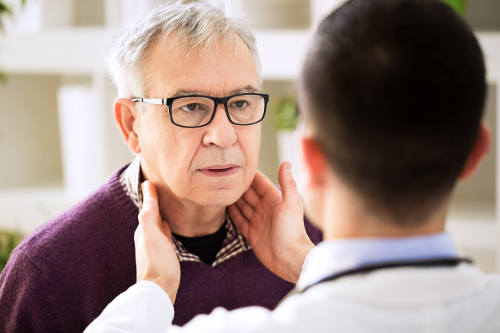 Lymphangitis can become a life-threatening condition if left untreated, but most cases are not that serious and are treatable with no lasting effects. You may have heard the term interchanged with blood poisoning or thrombophlebitis, both of which are false. The lymphatic system is a complicated one, consisting of various organs and tissue dedicated to eliminating waste and toxins from our body. Let’s take a brief look at the network and how lymphangitis occurs and the effects on our systems. Lymphangitis is an infection of the lymph nodes or vessels within the lymphatic system itself. This system works hand in hand with the immune system to fight infection and drain excess fluid of the body. Our lymphatic system is composed of cells, ducts, organs, and glands. This entire system is responsible for the transportation of proteins, fats, fluids, and other matter throughout the body. Glands are also known as lymph nodes and can be found throughout the body, with a majority of them located in the armpits, groin, and jaw. They filter the lymph fluid, which has white blood cells to destroy harmful bacteria. Organs associated with the lymphatic system are the tonsils, spleen, and thymus. For the lymphatic system to work, immune cells known as lymphocytes, are produced in our bone marrow and are then transported by the lymph fluid to the lymph nodes and associated organs to protect against bacteria and viruses. This fluid travels through the entire body to collect matter from tissues and cells for the lymph nodes. As the nodes filter the fluid, more white blood cells are produced. Lymphangitis occurs if the lymphatic system is under attack by harmful bacteria or viruses. It can grow from an existing infection within the body or may develop from entering through a wound or cut. It becomes evident with the appearance of red streaks under the skin surface, running from the site of entry, such as a wound, to the nearest set of lymph nodes. This can happen due to several factors and will have varying symptoms accompanying the streaks. We will now learn more about the causes of lymphangitis. The presence of an invading infectious disease within the lymphatic system can cause an array of issues that need to be dealt with immediately to avoid further complications. As previously mentioned, the first prevalent symptom you will notice is the red streaks under the skin surface. These marks can be seen on the arm, along the back of the leg, or on the hand. Lymphangitis can lead to serious complications, so medical intervention is necessary upon first signs of the condition. This is to prevent it from spreading throughout the body, which can happen within hours of infection. The medical treatment for lymphangitis may include prescribed medication to relieve the pain, including anti-inflammatories and antibiotics if the infection is the result of a bacterial invader. It can be an oral medication or an intravenous antimicrobial therapy. More serious cases will require surgical procedures to drain wounds if needed or remove infected nodes. Possible natural home remedies to alleviate symptoms can include the use of a warm compress on the affected area. Apply a hot water bottle or a hot cloth to the region at least three times each day. Doing this can reduce swelling and stimulate blood circulation. Elevate the affected extremity to help prevent infection from spreading and reduce any swelling. It is also advisable to get plenty of rest. “Lymphangitis,” Medline; https://medlineplus.gov/ency/article/007296.htm, last accessed June 15, 2017. “ Lymphangitis – Symptoms, Causes, Treatment, Pictures,” Bye Bye Doctor; http://byebyedoctor.com/lymphangitis/, last accessed June 15, 2017. “Lymphangitis (Infected Lymphatic Vessels),” Health Hype; http://www.healthhype.com/lymphangitis-infected-lymphatic-vessels.html, last accessed June 15, 2017. “Lymphangitis,” Healthline; http://www.healthline.com/health/lymphangitis#overview1, last accessed June 15, 2017.